You've heard the old axiom, "Sharing is caring." Aside from schools and playgrounds, that's perhaps nowhere more important than in health care. And as AM 1240 WJON in St. 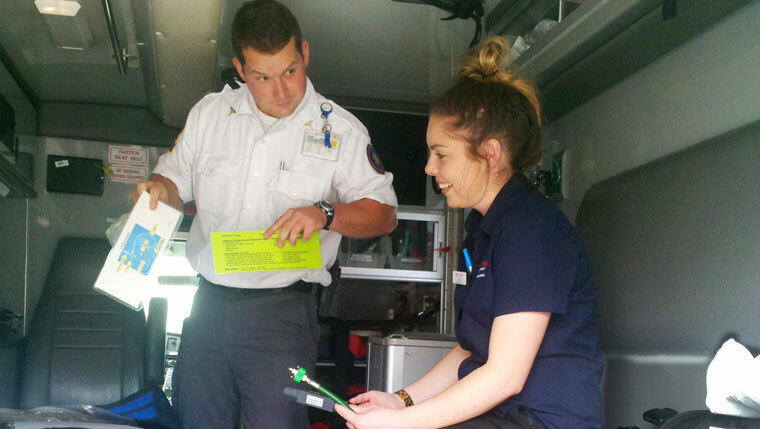 Cloud, Minnesota, reported recently, our friends at Gold Cross have been holding true to that by hosting paramedic students from La Trobe University in Bendigo, Australia, to help show them how we do things over here in "the States." Their professor, Peter O'Meara, tells us six students from La Trobe have also "undertaken clinical placements" with Gold Cross over the past couple years. The primary purpose of each trip is to "obtain clinical experience with excellent and very committed clinical instructors," he says. The students' time here is also about gaining "a deep cultural experience" by "interacting with real people" not only in the workplace, but also in the local community. But, "They're much more than tourists," the professor tells us. While the benefits to the Australian students may seem obvious, Gary Wingrove of Gold Cross tells us that the hosts have been learning from their guests, too. "Some of the procedures they do and medications they administer are different," he says. "While the Australian paramedic students gain the benefit of being taught by our highly experienced team, our staff benefits from the intellectual stimulation gained by considering and contemplating the utility and outcome of a different way of taking care of patients." We're told Bennett and Brennan have been making the most of their opportunity at Mayo by getting hands-on (and stethoscopes-on) experience with their new Gold Cross colleagues. Bennett tells WJON the things they've seen and done have also been a little … well, different. "It's been a bit of a process," she says. "All the equipment is a little bit different here; all the protocols are a little bit different." Brennan, however, says that's not the only difference. "The skill level here is a bit higher than what we do back home," she tells the station. "We've learned a lot of new things." Teach us a thing or two by sharing your comments below. And while you're here, stretch yourself and share this story with others, using the handy social media tools.